We often see how attackers try to exploit our information assets in our company, coming from inside and outside the company. When you locate an internal IP address trying to affect things, it's easy to locate if you have information security controls like Network Access Control (NAC), Dynamic Host Configuration Protocol (DHCP), Firewalls and Network IPS. Problem is: what should we do if the offending ip address is outside in the Internet? 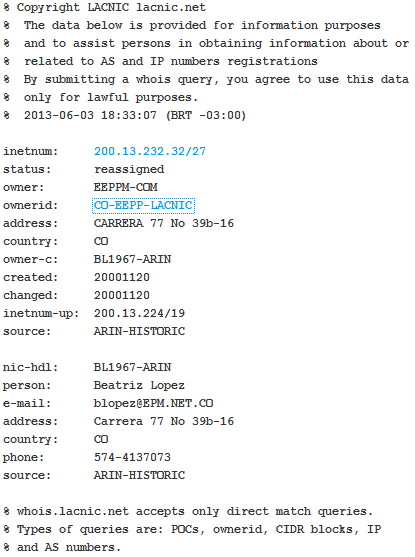 All RIR provides a tool called whois. 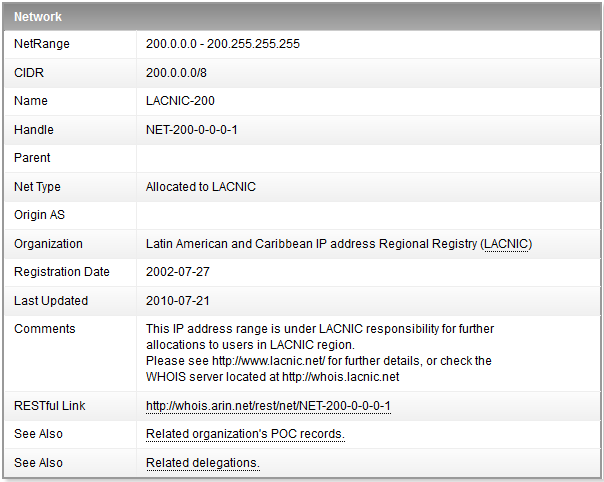 This tool is able to tell you who is the owner of an IP address or a netblock. All contacts listed in RIR are required to provide an abuse contact. This contact is meant to provide point of contact for any required actions of stopping an attacker or to request evidence for a criminal investigation if you are a law enforcement agency. 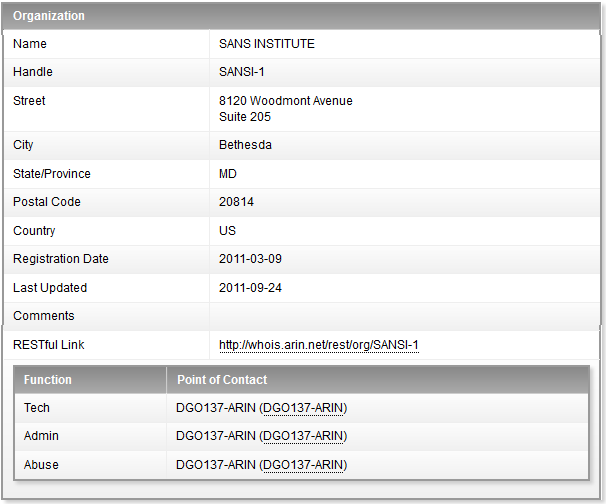 The Abuse contact information is a URL following the contact ID pointing to the specific information needed to contact the SANS Institute regarding abuse from their IP address range. Using google to lookup information for owership of an specific ip address is definitely not a good idea, as it looks for the IP address string inside all webpages indexed. The information google will give you will provide a lot of false positives and will delay you in your incident response process execution and / or your criminal investigation.